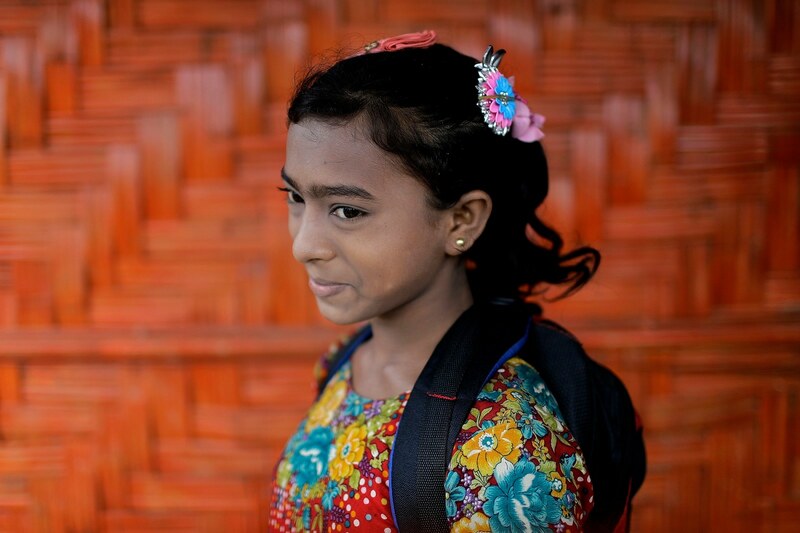 The dazzling displays of color emerge amid the mud and monsoon rains of Bangladesh's refugee camps: vibrant flower headbands and elaborately-drawn makeup worn by young Rohingya girls. These girls are among 700,000 Rohingya Muslims who were forced to flee their homes after the military in neighboring Myanmar launched a brutal campaign of violence against the minority group last year. But for the Islamic holiday of Eid al-Fitr, the girls decided to treat themselves to something special: makeovers.